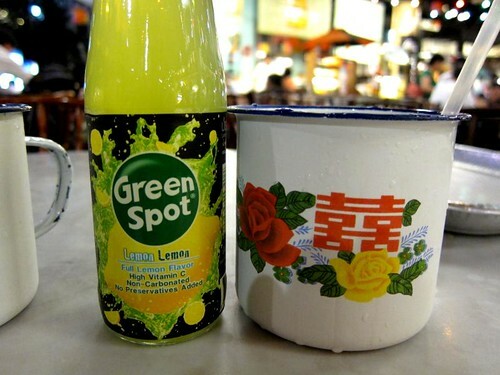 Located at the Singapore Flyer, the Singapore Food Trail re-creates the 1960s retro hawker scene. 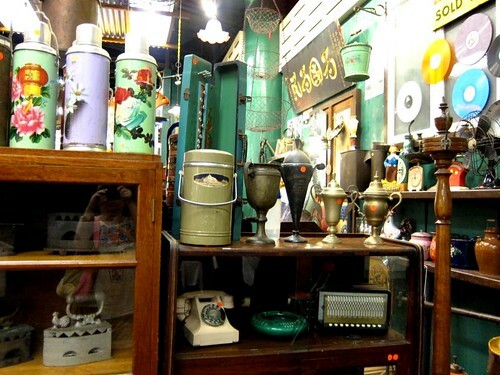 The moment you stepped into the place, you will see street signs, vintage wares, transporting one to the 1960s Singapore. 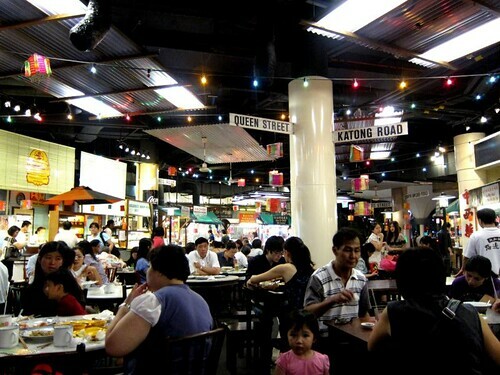 Beside the ambience, what attracted me to Singapore Food Trail was the food – where they touted to have some of the best local food stalls. I gathered some of my friends for a quick bite, and of course the more people you have, the more food you can stuff in your face. 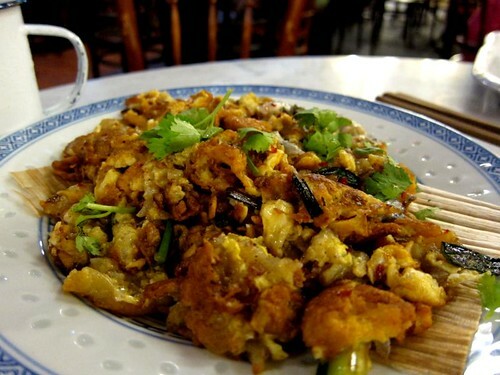 We got ngoh hiang (assortment of fish cakes, crackers, century egg), oyster omelette, carrot cake and hokkien mee. I wouldn’t say they are the best ones that I ever tasted but they were decent enough. 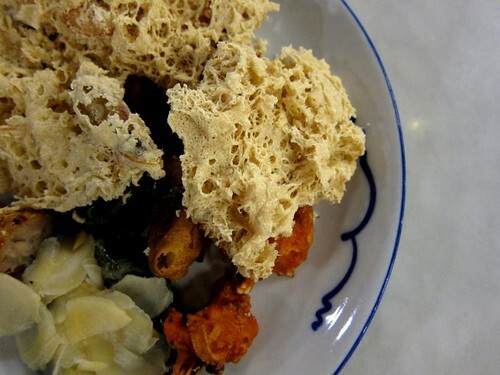 However with the prices (which were above the average hawker prices), I could quite safely say that I won’t be going back to the Singapore Food Trail any sooner. 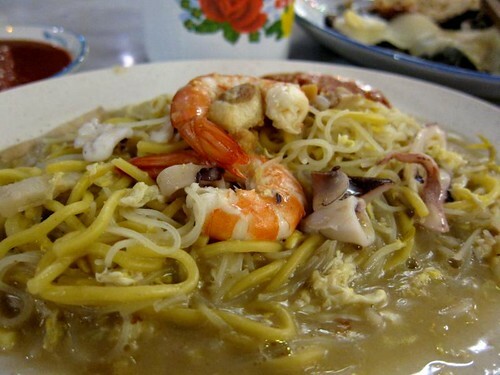 That said, if I am a tourist, after the Flyer tour and I am hungry, Singapore Food Trail is a good place to start. 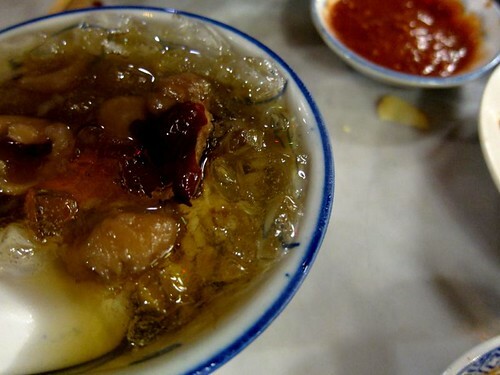 After dinner, my friend, Serene and I shared a cheng tng – it was bland and watery and left us unsatisfied. 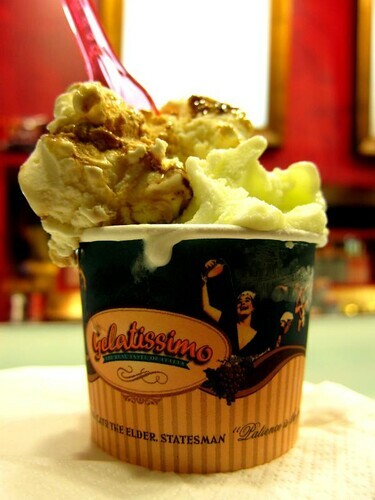 While on our way to our drinking hole, we walked past Gelatissimo – I know I got to have some gelato to satisfy my sweet tooth. At Gelatissimo, they have A LOT of flavours to choose from and everything looked and sounded so good. After a good 15 minutes of browsing and tasting, I settled on baked figs and lemon sorbet. The baked fig gelato was sweet and comforting while the lemon sorbet was refreshing and tart; putting these two flavours together, they were a perfect match. Though dinner was alright, I am glad the gelato brought me 7 minutes of happiness (that’s how long I took to finish my gelato).